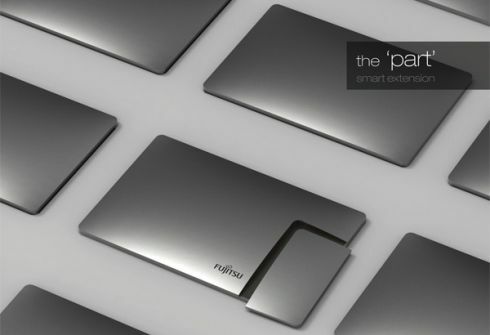 Before we get started, let me remind you that there’s the HTC Tube phone/tablet concept out there and ASUS already has the PadFone “phone in a tablet” product ready for launch. Thus, this Fujitsu The Part unit isn’t a premiere, but still it’s a pretty original concept, created by Eunha Seo, Junse Kim & Yonggu Do. 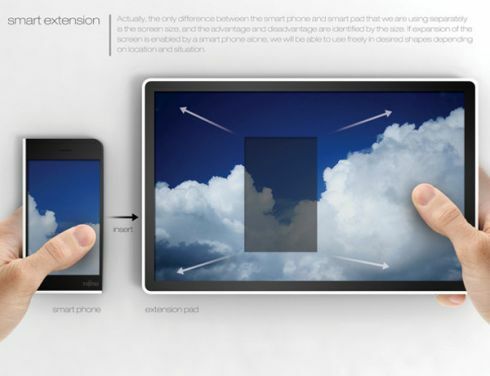 What we’re dealing with here is a tablet as the main device and a detachable smartphone, that works like an extension. It’s quite strange to see the Xperia interface on Fujitsu gizmos, but I’ll let that slide for once… At least they borrowed the good things, like the TimeScape interface and the icon dock at the bottom, but hopefully without the lag that’s usually present in such Android customization. 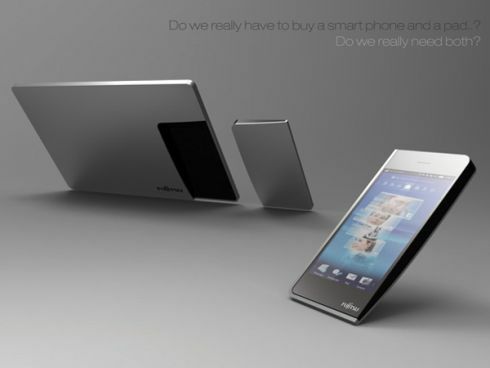 I hope only one thing: that the two devices can be used separately as single entities and not depend on one another. Their degree of interaction is certainly vital for the originality of the product, but still, it would be ideal to also have them working on their own. As you can see, there’s no trace of camera here or any other specs, so it’s safe to assume this is a mere design concept and that’s it.